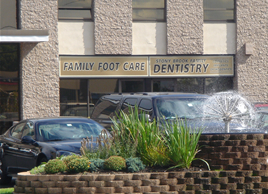 Welcome to our podiatry practice in Stony Brook, New York. Please view our Facebook page for any weather related updates or the latest information about our practice. We don't treat feet, we treat PEOPLE whose feet hurt!! Dr. Smith strives to provide the best possible foot care to his patients.